Prof. Dr. Claus-Michael Lehr during his welcome speech at the Biobarriers 2016 conference. Picture by Simon Raesch. 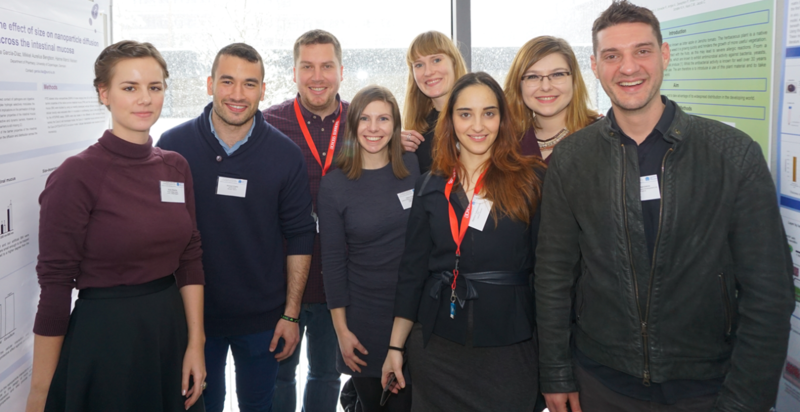 On the occasion of the 11th Conference and Workshop on Biological Barriers, the PathChooser community met in Saarbrücken, Germany, between the 7th and the 10th of March. 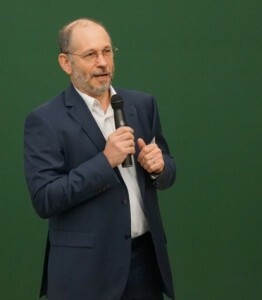 The Conference, hosted among others by Prof. Dr. Claus-Michael Lehr, from the Helmholtz Institute for Pharmaceutical Research of the Saarland, gathered a handful of worldwide experts on diverse but interconnected topics such as nanocarrier design, infectious diseases, and, of course, drug delivery across biological barriers (Conference program available at https://www.kwt-uni-saarland.de/de/buchungen/biobarriers-2016/conference-program.html). The PathChooser members, both Principal Investigators and fellows, were actively involved in the conference and contributed to the scientific program with talks and short oral presentations, respectively. The morning program, on Wednesday the 9th of March, was dedicated to European research projects on targeted delivery to biological barriers. In the first session, chaired by the PathChooser fellows Luciana Herda and Nikolaos Mandalos, the aims and the goals achieved so far by the PathChooser consortium were presented by our coordinator Prof. Kenneth A. Dawson, followed by 10 minute oral presentations of the fellows Anne Iltzsche, Xabier Murgia, Martina Tuttolomondo and Diana Hudecz. The last PathChooser contribution to the conference was given by Prof. Dr. Marino Zerial, form the Max-Planck Institute of Dresden, on the topic oligonucleotide-based drug delivery. 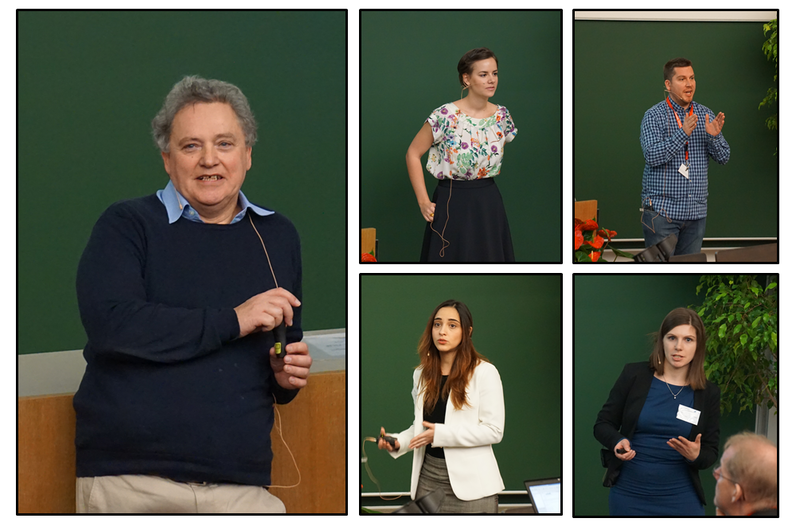 PathChooser Coordinator Prof. Kenneth A. Dawson and fellows Anne Iltzsche, Xabier Murgia, Martina Tuttolomondo and Diana Hudecz during their talks at the Biobarriers. Pictures by Simon Raesch. Within the framework of the Biobarriers conference the fellows had the opportunity to take part in two training activities. The first one, entitled Avoiding Scientific Misconduct – GSP as a Compass in Research and conducted by Michael Gommel from the Institut für Systemische Medizin- und Organisationsethik, Germany, consisted of an interactive talk in which important guidelines regarding good scientific practice were addressed. The second training activity deciphered the complex systems and calculations behind the scientific indicators such as the impact factor of the scientific journals or the personal “scientific reputation” indicators such as the “h” index. The second training activity was entitled Do Numbers Tell the Tale? Bibliometrics and Research Impact and was conducted by Jaap van Harten, from ELSEVIER Scientific Publishers. PathChooser Fellows at the Bioobarriers 2016 conference. Picture by Simon Raesch. On Thursday, the 10th of March, we conducted the satellite PathChooser meeting at the Helmholtz Institute for Pharmaceutical Research of the Saarland. In the first part of the meeting Luciana Herda, Nikolaos Mandalos, Catherine Gilmore and the newest PathChooser Fellow Ahmed Eladly presented their latest scientific achievements. The rest of the meeting was used to discuss future collaborations and the Fellows secondments, and this took place in a group discussion format. Prof. Dr. Claus-Michael Lehr closed the PathChooser meeting in Saarbrücken with a warm Auf Wiedersehen until our next meeting in Dresden in the end of April.